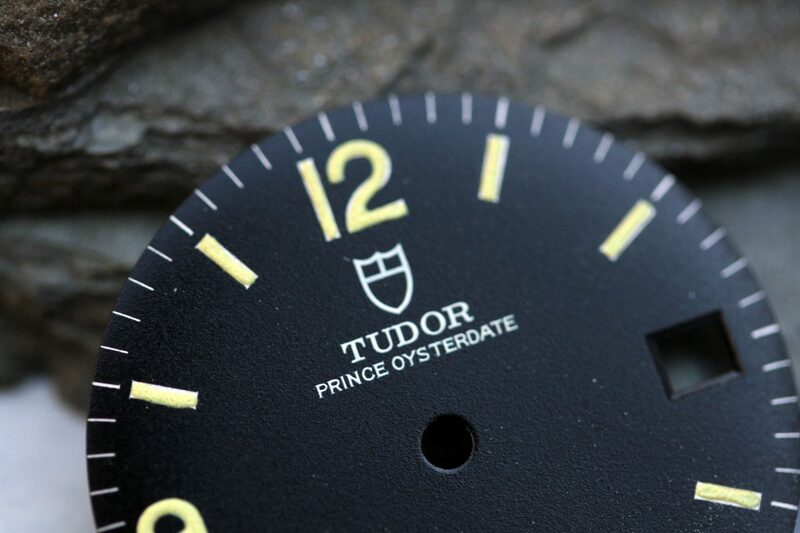 Dial is a service replacement with shield logo. 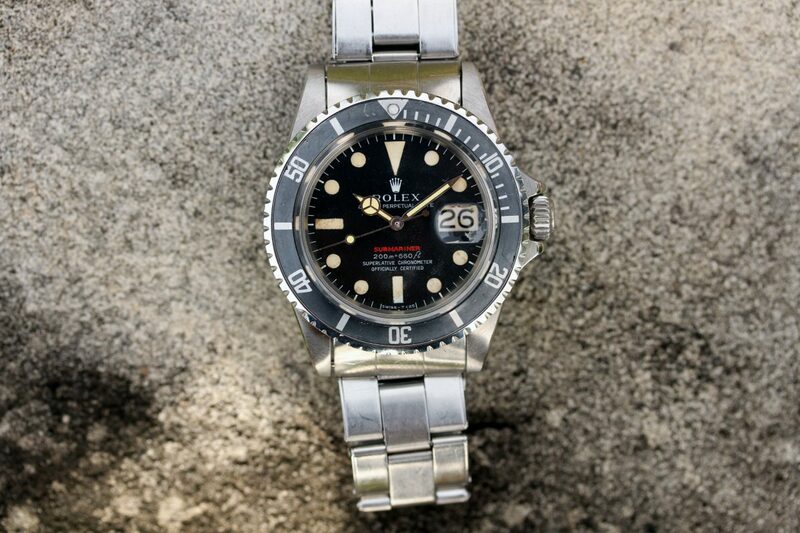 Tritium. 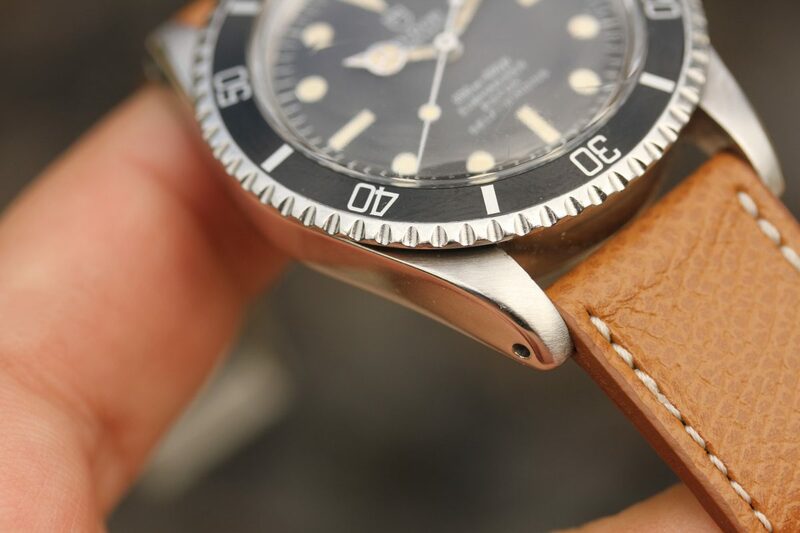 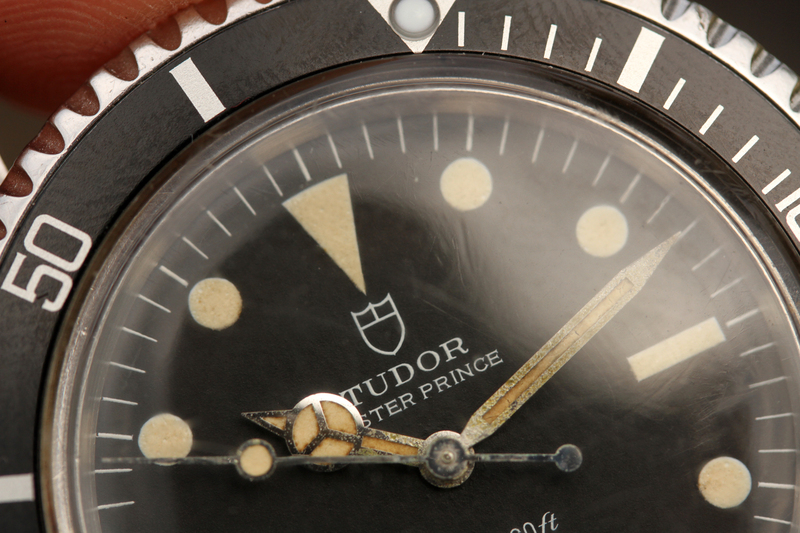 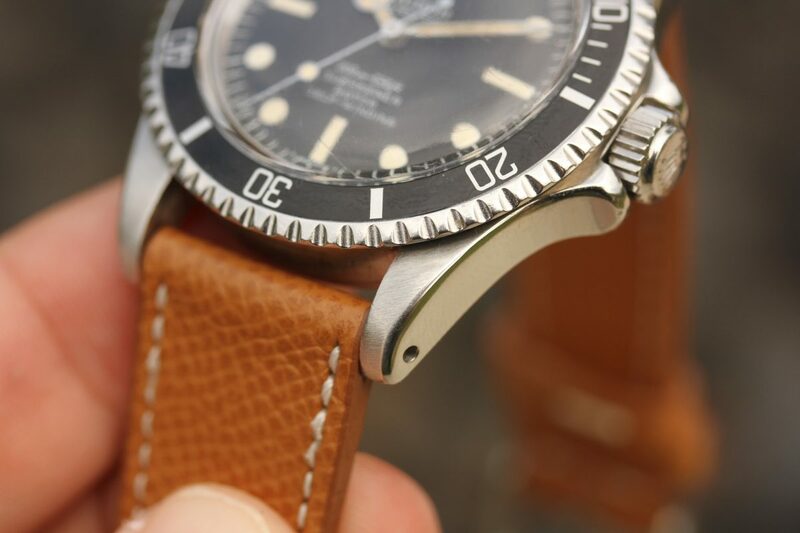 Nice patina on dial and hands. 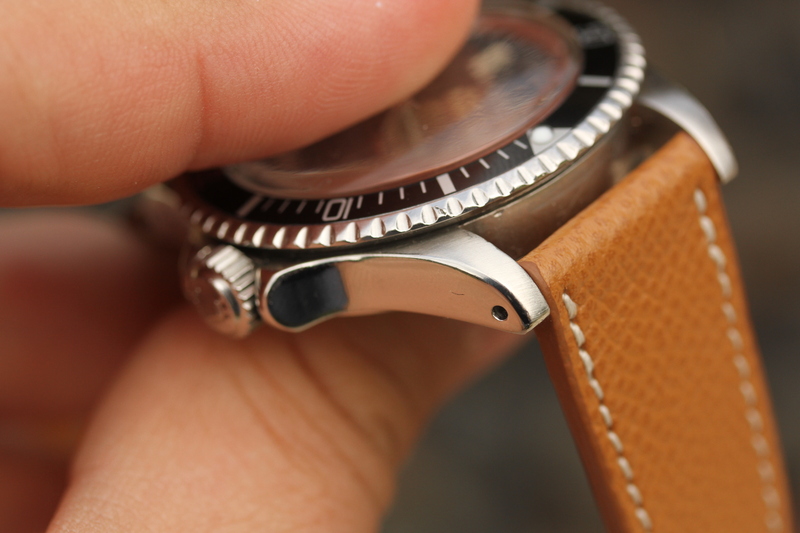 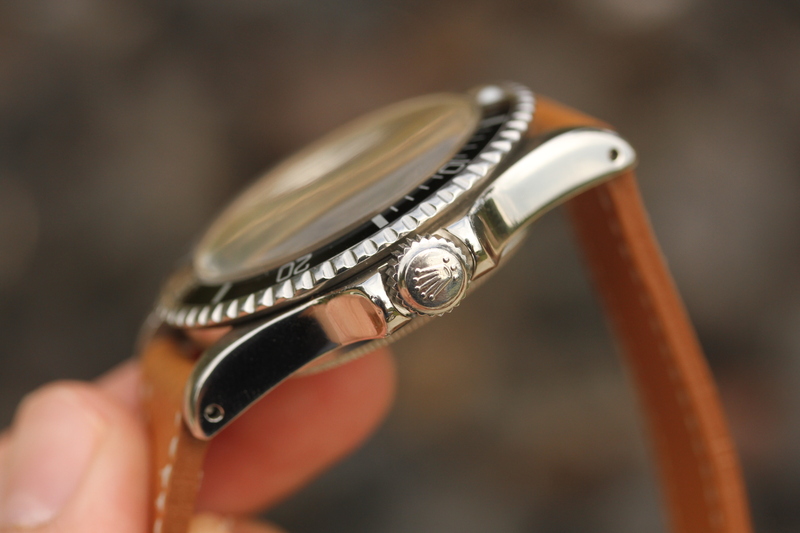 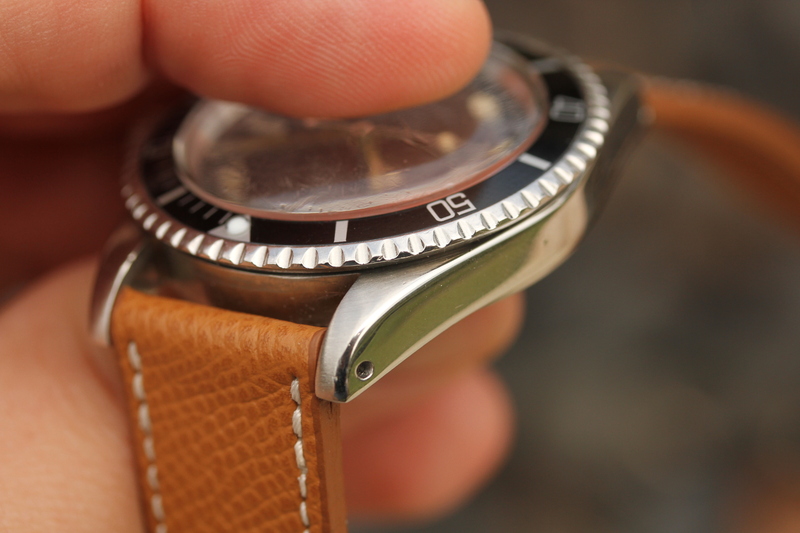 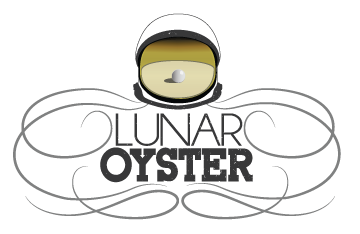 Bezel insert is also a service replacement with luminova pearl. 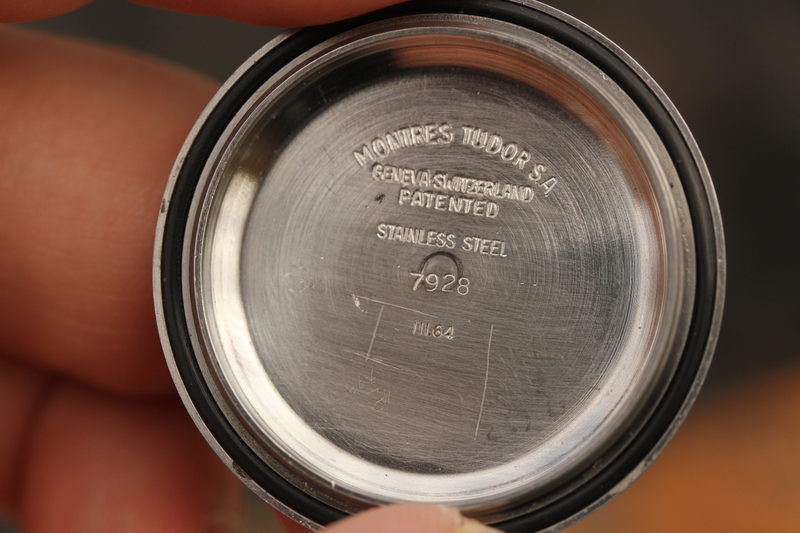 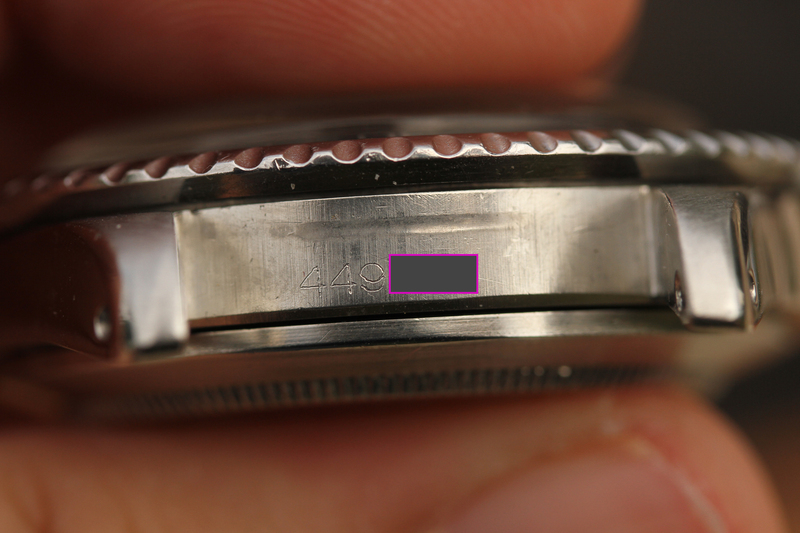 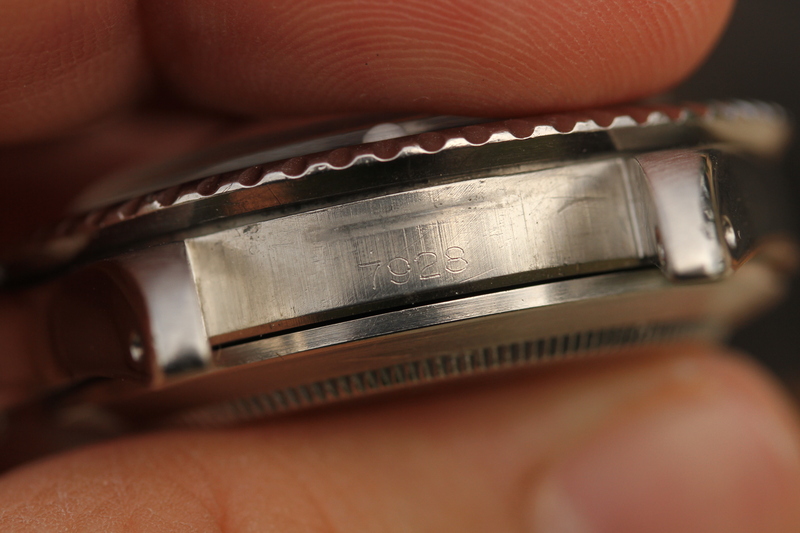 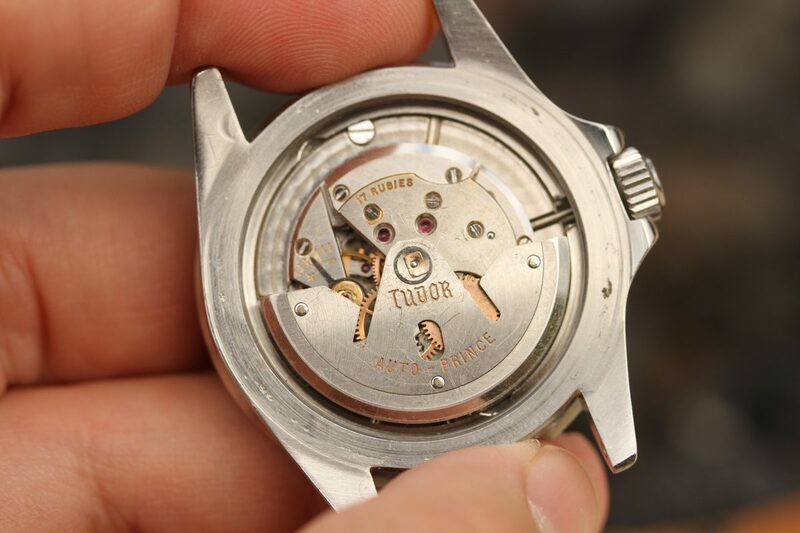 Caseback is original, stamped 7928 and dated III.64 inside. 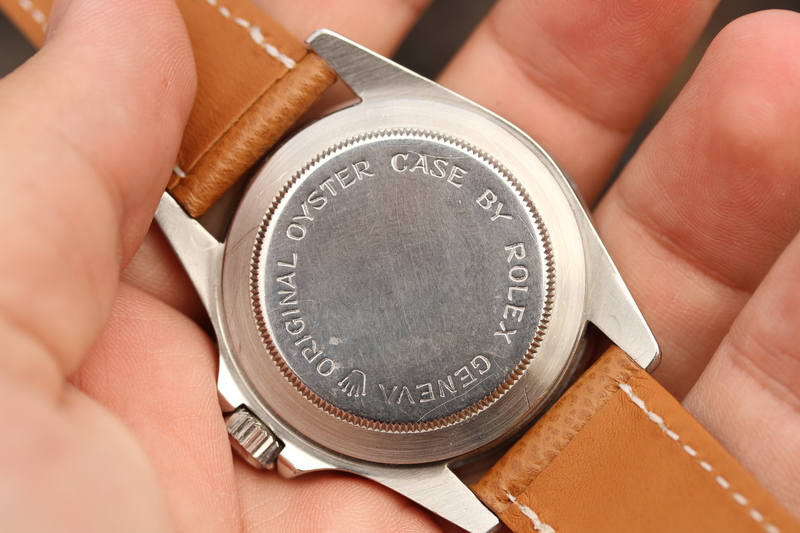 This is a running and wearable “project” watch that would need to have an earlier rose logo dial to be more original. 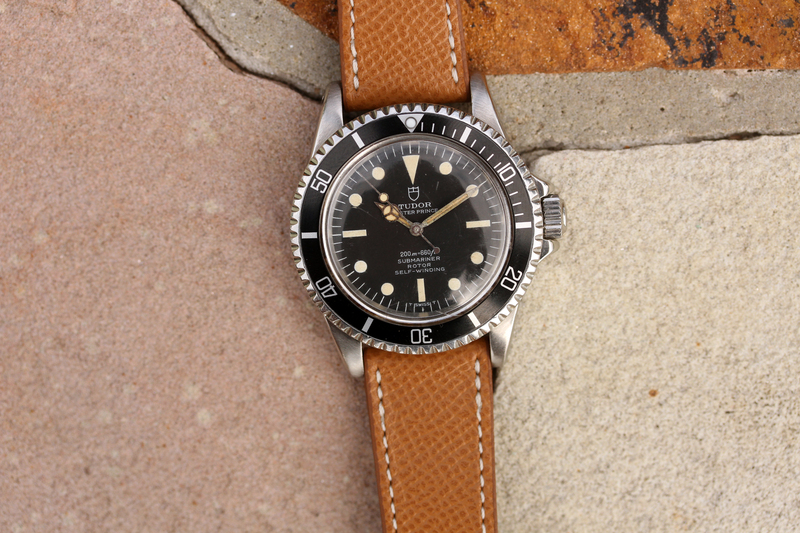 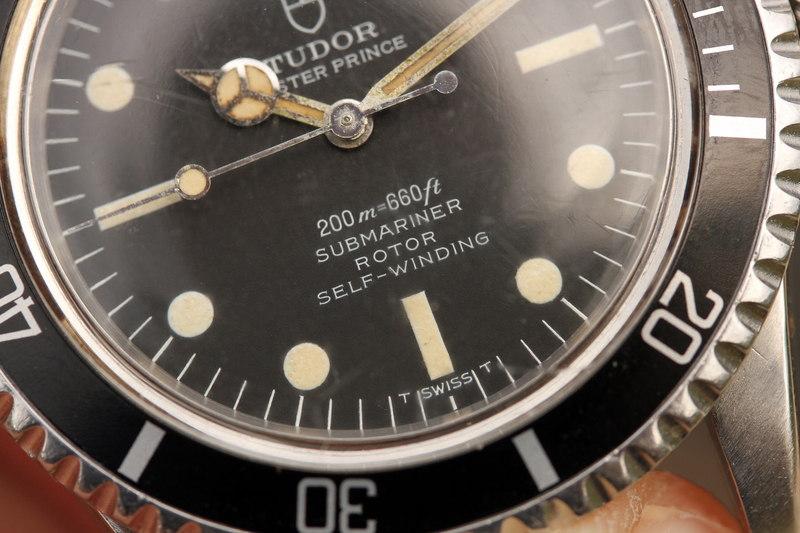 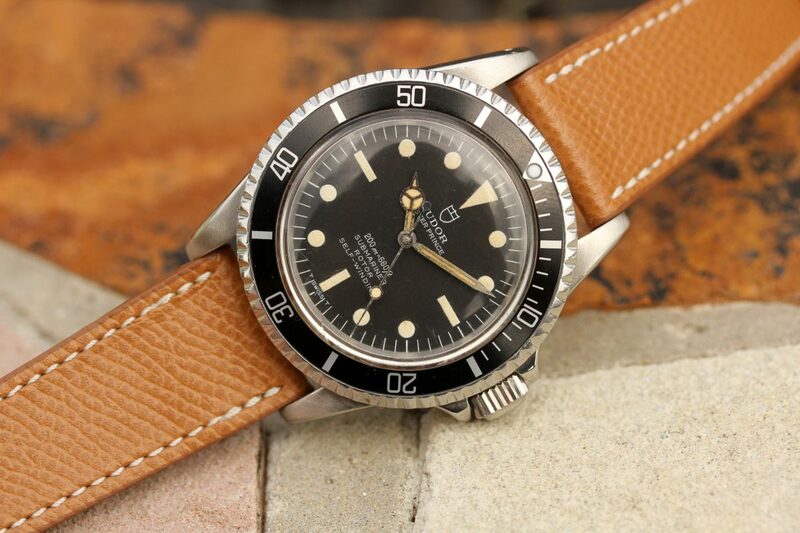 Nice price point for a vintage Sub.